Chicago Mayor Rahm Emanuel was re-elected to a second term Tuesday evening, outlasting his challenger Jesus "Chuy" Garcia in a hard-fought runoff. With roughly 94 percent of precincts reporting, Emanuel holds a substantial lead overGarcia. 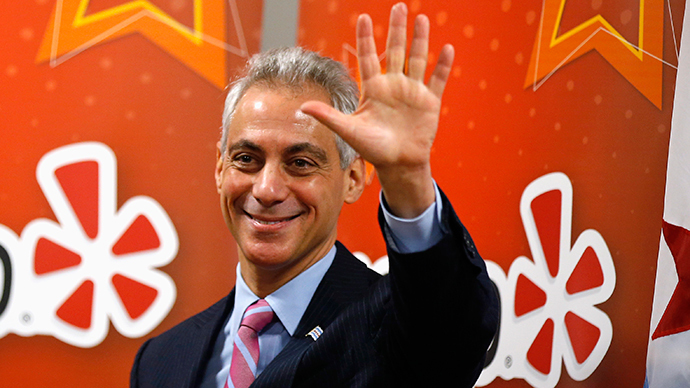 Emanuel has 55.5 percent of the vote, compared to Garcia's 44.5 percent. Garcia has also called Emanuel to concede the race. The race was first called in Emanuel's favor by CBS Chicago, with local WGN and the Chicago Sun-Times following suit afterwards. Tuesday’s election was the first-ever mayoral runoff vote in Chicago history after the city began non-partisan mayoral elections in 1995. In a speech following the election, Emanuel thanked voters for giving him "a second chance" despite grumbling that he did not listen to their concerns.He vowed to change his governing style in his second term. "Chicago, I hear you. I understand the challenges we face will require me to approach them differently and work in a different fashion," he said. Addressing his supporters, Garcia said Chicago needs to lure in new residents and end the violence that has plagued the city if it wants to move forward. Still, he struck an upbeat tone. "We didn't lose today, we tried today," Garcia said, according to the Chicago Tribune. "We fought hard for what we believe in." Incumbent Emanuel, 55, won the original election on February 24, but did not collect the requisite 50 percent of votes necessary to claim victory. Cook County Commissioner Jesus “Chuy” Garcia, 58, finished second in February out of a total of five mayoral candidates. Both Emanuel and Garcia, who took 45 and 34 percent of February’s vote total, respectively, are Democrats. Emanuel, a former congressman and White House chief of staff for President Barack Obama, spent millions of dollars on television and radio ads ahead of Tuesday’s vote. Chicago-based polling company Ogden & Fry released a survey on Sunday that showed Emanuel leading Garcia by a comfortable 51-33 percent margin. "We weren't supposed to be here. We were counted out," Garcia said in the Mexican-majority Pilsen neighborhood, according to AP. "People had their say in Chicago." Garcia, a Mexican immigrant and former state senator, has lambasted Emanuel for being a mayor who has primarily served the most wealthy and connected communities and players in a city known for hard-nosed political dealings. 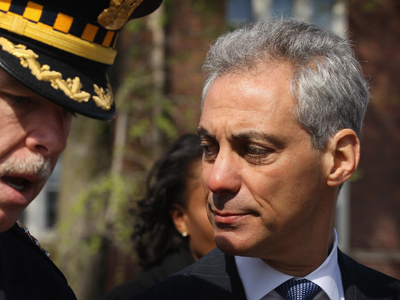 Chief among the criticisms of Emanuel have been the closure during his tenure of 50 public schools with low enrollment, as well as a skyrocketingrate of violent crime in the nation’s third-largest city. Garcia has contended that he is the choice for low-income residents of Chicago. For example, he has rallied supporters around his opposition of traffic light cameras that have racked up thousands of $100 traffic tickets for residents. Garcia has promised to eliminate the "red-light ripoff" if elected. The city’s traffic lights are criticized for a shortened yellow-light interval before the red stop light appears, forcing drivers to run the light or risk being rear-ended by a following vehicle. "It's been exposed for what it really is," Mark Wallace, a Chicago resident who has collected more than $1,000 in red-light tickets and has led protests against the camera system, told USA Today. "It's nothing more than a way for the city of Chicago to create a slush fund that brings in a lot of revenue." 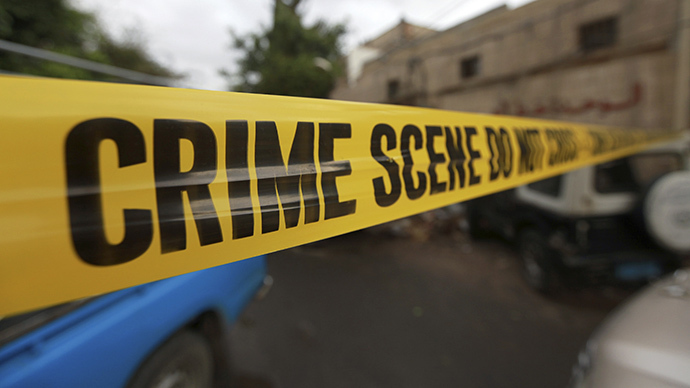 Compounding animosity, the vendor that supplied the city with the traffic light surveillance equipment was indicted for allegedly bribing city officials. Chicago faces a budget deficit that is expected to hit $1.2 billion by next year, mostly due to outstanding public pension payments. 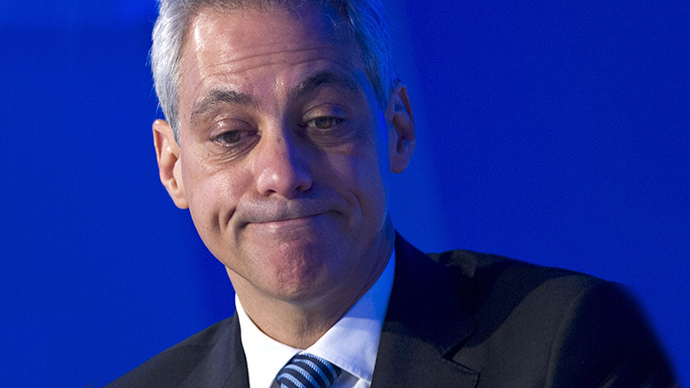 Emanuel has tried to paint Garcia as not having a plan to tackle the city’s fiscal problems, while Garcia has blamed Emanuel for the worsening city deficit and a system of ‘pay-to-play’ politics. The candidates have split union support in the city, as Garcia has the support of the powerful Service Employees International Union, the Chicago Teachers Union, and the Amalgamated Transit Union. Forthcoming contract negotiations with the city’s teachers union, which directed its ire at Emanuel by going on strike in 2012, looms large for Tuesday’s winner. 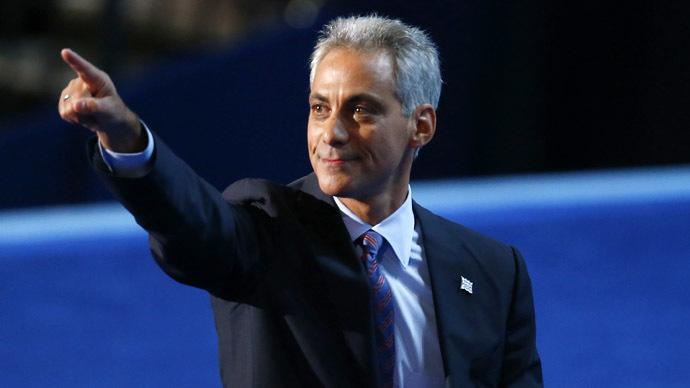 Emanuel, meanwhile, has been endorsed by unions representing firefighters, pipefitters, and plumbers. "They know the difference between jobs leaving the city, businesses leaving the city and a city now investing in its future -- creating jobs," Emanuel said Monday, according to NBC 5.